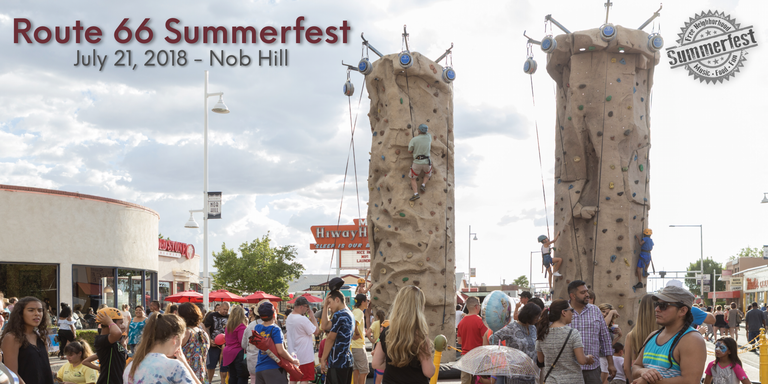 Summerfest is coming July, 21, and we’re so excited to celebrate in Nob Hill and on Route 66 with you all! This is a free event for the whole family and there’s plenty do for everyone! And of course the classic Old Route 66 Car Show that runs right down Central Avenue! Visit the Car Show Eventbrite page to sign up! 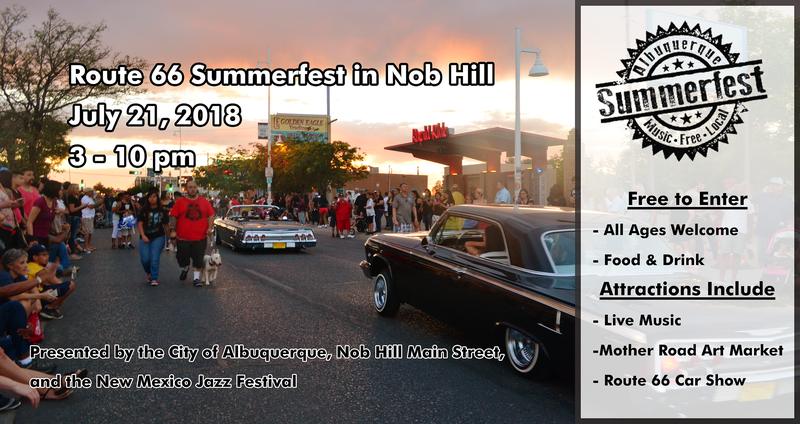 *If interested in participating in the Route 66 Car Show visit this sign-up page, fill out this form, or call 505-923-0759 for more info! *Route 66 Summerfest is free to the public. Pets are welcome on leashes. This is a rain or shine event.